The salon industry is growing like never before and if you own a salon, then you are in the best times of servicing customers and make the cash counters ring. While the timing might be right, you’ll still face stiff competition from your counterparts. You need to have some serious thinking and strategy on what keeps you special for your customers. Customers are scouting the best salon where the experience is seamless, with quality service and constant engagement. To live up to the expectations of customers you need to have a well organised approach to schedule appointments, manage customers and employees. 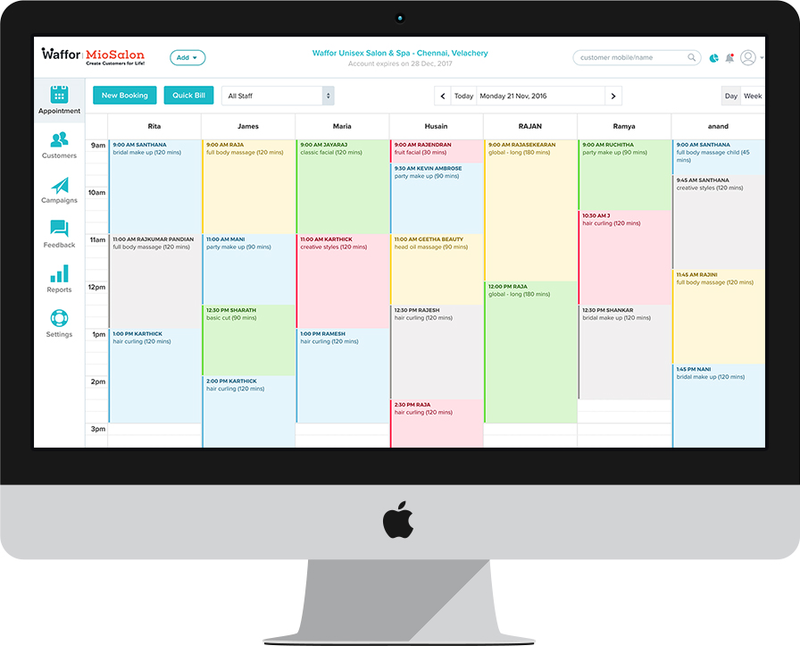 Salon software MioSalon provides you a powerful and systematic approach to efficiently manage your salon from appointment scheduling to running loyalty programs.